Galileo began to study medicine at the University of Pisa. He then became fascinated with multiple subjects. He then eventually left the university degree-less due to financial issues. He studied: Physics, Astronomy, Cosmology, Mathematics and Philosophy. He did end up meeting and falling in love with a Venetian Woman named Marina Gamba and together they had two daughters and a son named; Virginia, Liza and Vincenzo. Galileo was really known for creating the telescope but he also discovered that the sun was in fact the center of our solar system and the planets revolve around it. Many people don't know this but Galileo did write a book about his findings. Nothing prepared him for what happened next. People from the Catholic Church always believed that The Earth was the Center of the Universe and the sun revolves around it, and that everything God creates is 'perfect'. Galileo had seen through his telescope the moons large craters, this of course upset the church because they thought god made everything perfect and that Galileo was a dumb dumb. The church in a way feared that people would begin to not believe in a god if what Galileo was saying was true. That the Sun is the center of our solar system and not Earth. 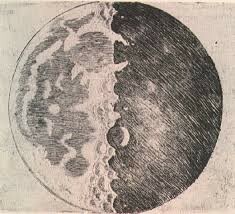 Galileo discovered the moon has craters and is therefore "imperfect". He also noticed the sun (below on the left) is the center of our solar system, unlike the churches thought of Earth (below on the left) being the center . 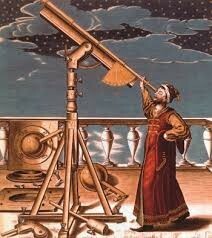 Galileo taught many great things, in fact he would be considered a renaissance man if it were The Renaissance Age. 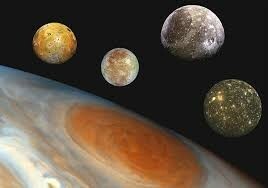 With his discovery of the moon's craters and how the planets revolve around the sun. 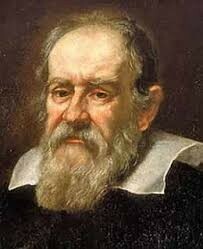 Galileo was truely very talented in many ways.